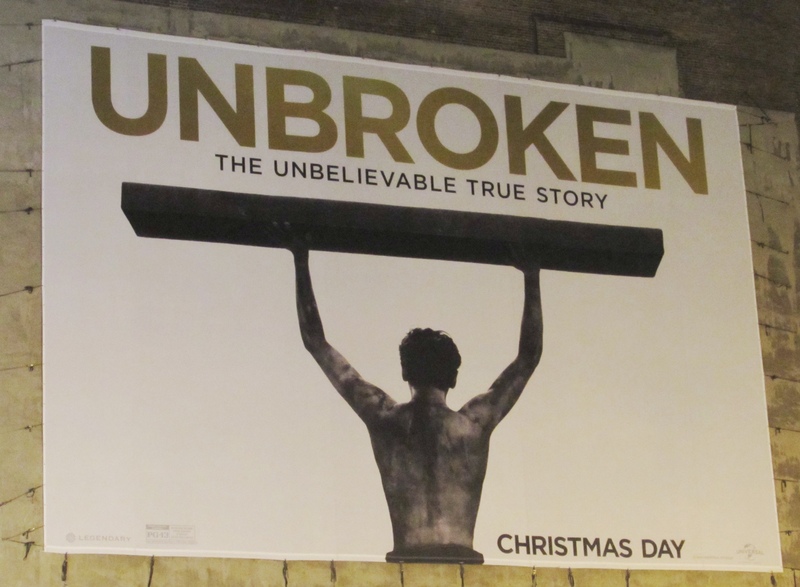 I saw this gigantic ad for “Unbroken” in New York City on Monday, and I thought y’all would like it, too. Angelina Jolie directed the film, and it focuses on the incredible life story of 1936 Olympic distance runner Louis Zamperini. He served in WWII, survived a plane crash, was captured by the Japanese navy and yeah, I’m gonna see it!